This movement was a loose grouping of thinkers and writers who were active on the fringes of the Radical Right in Germany during the 1920s, seeking as much a break from the recent past as from their present-day status quo, an alien liberal-democratic regime imposed upon Germany after their defeat in the First World War. They never accepted the Weimar Republic as German or deserving of their loyalty. 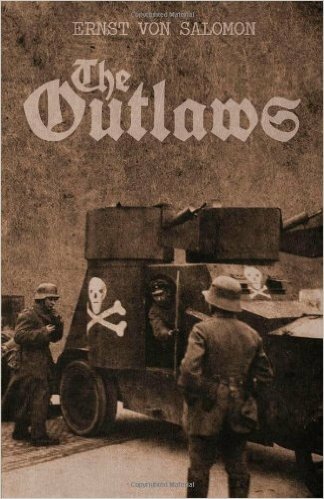 Those who were not just politically active on the Right as members of the Freikorps paramilitary formations, were often writers and thinkers involved in making sense of the chaos of their times. This milieu was intellectually and culturally very fruitful, as shown by the various artistic, literary and philosophical currents that came to fruition in 1920s Germany, including Expressionism, Existentialism, and literary Modernism. Both the radical Left and Right aimed at an abrupt break with the recent past, being simultaneously sick of a despicable present yet not nostalgically longing for a past that was no longer viable to anyone except the most reactionary elements within German society. Of course, both had different takes on how the future should be, and this would be a frequent point of conflict between Communists on the Left and the radical nationalists on the Right. Whereas the former wanted an international communist revolution inspired by the Russian Revolution, the Conservative Revolution wanted a national revolution to restore Germany to its former might so that it could finally prevail over its external and internal enemies in another great war and in a great cleansing of society. The Outlaws is set in the immediate aftermath of the First World War in Germany where Ernst von Solomon was still only an officer cadet too young to have fought in the trenches. This sense of having just missed a moment of glory would propel him towards a life of youthful enthusiasm and adventurism as he decided to join the Freikorps — paramilitary units composed of disgruntled German war veterans — and took part in crushing Communist revolts that had simultaneously broken out all over Germany in the period from 1918–20. Afterwards, he marched with the Freikorps to the Baltic States where he fought against the Bolsheviks. The Freikorps managed to defeat the Revolution at home and stem the Bolshevik hordes from the east. Regardless of these external events, von Salomon and his comrades did not rest content, since they saw the betrayal of their nation by the Weimar Republic as an even greater threat. Thus, von Salomon got involved in various attempts to overthrow the Weimar Republic – all unsuccessful – including the 1920 Kapp Putsch. Later he helped his comrades organize a secret society whose task was to assassinate politicians deemed to be a threat to their goals. This culminated in the assassination of Walter Rathenau, a liberal German politician who served as the Foreign Minister. Von Salomon was found guilty of having aided his co-conspirators by providing the escape car and was imprisoned as a result. Although the action sequences are brilliant to say the least, the most interesting thing about this novel are the ideas that Salomon and his comrades were fighting for. 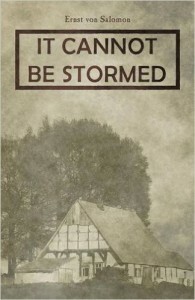 This novel can and should be read as a historical testament to the times. In many ways it foreshadows the rise of the Third Reich in the 1930s. What struck me about von Salomon was that, despite his self-professed nationalist sentiments, he also had sympathy for Communism, even as he was well-aware of the many contradictions between the two worldviews. Von Salomon and many of his comrades sought to emulate the revolutionary ethos of Communism and even wished to work towards a reconciliation between nationalism and communism, a synthesis that would amount to a “national socialism” (a term that was, in fact, not original to Hitler’s National Socialists). It was from within this milieu that the National Socialists would eventually emerge, even though many among the Conservative Revolution were often opposed to the Nazis. At the beginning, however, Nazis were a very minor party within this larger movement of which the Freikorps was the paramilitary arm. Around the same time, a similar phenomenon occurred on the radical Left in Germany among the dissident Left-communists Heinrich Laufenberg and Fritz Wolffheim who formulated the ideology of “first-wave” National Bolshevism, advocating a German-Soviet alliance against the US and the British as well as working towards a kind of reconciliation between Communism and nationalism. Despite this, neither had the official support of the Soviets or of Lenin. Both were members of the Social Democrats (SPD), the Communist Party (KPD), and later the Communist Workers’ Party (KAPD) which was a dissident Communist faction that broke away from the KPD due to the perceived betrayal of the Communist revolution by the Social Democrats and by the failure of the KPD to aid the workers in their revolt against Capitalism. It is profoundly ironic that contemporary Russian “second-wave” National Bolshevism is not in any way derived from this earlier German National Bolshevism, which had already disappeared as a tendency by 1920 as both Laufenberg and Wolffheim were shortly after expelled from the KAPD and transformed into political exiles, never again to influence the Left or Right. Moreover, neither Wolffheim and Laufenberg professed any pro-Stalinist sympathies so common among Russian National Bolshevists. Before this, both Laufenberg and Wolffheim were involved in the German Revolution of 1918–19 and participated in the various workers’ and soldiers’ councils that spontaneously emerged during that time. They envisioned workers’ and soldiers’ councils as the nucleus for a new Communist society that could be organized across Germany, a kind of association of national councils. But these ideas, despite their originality, never really took off and were eventually brushed aside, so that neither Wolffheim and Laufenberg were influential for much of this time. Von Salomon had contacts with these tendencies on the Left. He met and befriended two Communists, one during a street battle and another when he was thrown into jail. It would seem that alliances and cooperation between Left and Right were not as uncommon as is believed, even though conflict was inevitable given their opposing goals. 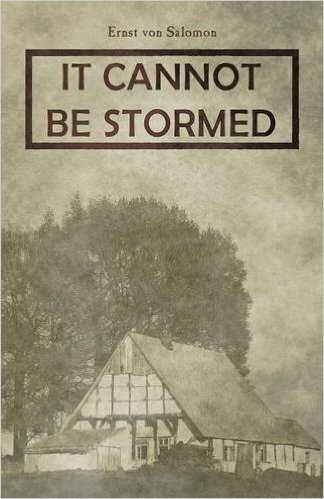 It Cannot be Stormed is set during the 1930s at the very beginning of the Great Depression and just before the Nazi takeover in 1933. In particular, it shows von Salomon’s involvement with the Rural People’s Movement, an agrarian movement that was active for a few years before the Nazi takeover. It is clear from this novel that Salomon was sympathetic to the plight of the German farmers and saw them as the blood and soil of the German nation, often contrasting them to rootlessly cosmopolitan Jews and liberals. The financial difficulties of the Great Depression also hampered any effort of the farmers to receive aid from the government, which prompted protests. Von Salomon never joined the Nazis, and it seems that, for all his attempts to overthrow the Weimar Republic and to replace it with a National Revolutionary state, von Salomon never saw the Nazis as a suitable vehicle for his national revolution. His growing distance from both Communism and the Nazis reflected his disillusionment with his times as he realized that his own goals would not be realized as he envisioned them. After the Nazis’ rise to power, von Salomon seemed to have become politically inactive and spent his time corresponding with dissident National Bolshevik and Conservative Revolution factions that were seen as potential rivals to the Nazis. He was even involved to some extent within the conservative German resistance to the Nazis within the Army, but he was never implicated in it and managed to survive the Second World War. The most striking thing about both of these novels is the continued relevance of radical ideas that were formulated and brought to fruition at this time, whether it is National Bolshevism and the Conservative Revolution on the Right or German Left Communism on the Left. A look back at the intellectual and cultural frenzy of interwar Germany allows us to more fully understand the Liberal Capitalist status quo that was as alive then as it is now, and it may even provide us with the tools and weapons necessary to dismantle it.